Taking one of the many boat trips available around Ireland or indeed island hopping from the mainland has got to be one of the best things to see and do while you are here. No two islands are the same and there are so many to choose from you will be spoiled for choice. Each island is different with their own unique brand of culture and tradition born of that particular geographical location. 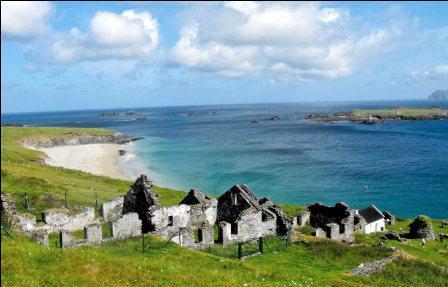 We are now only beginning to realise and value our island heritage, that other worldly isolation that was a cherished (it cruelly hard) way of life for many up until the last century. Modern wireless connectivity has breathed new life into these once isolated communities which has started to stem the flow and indeed initiate a welcome return to the people actually living on these islands. Cross over for a day at least you if you can, you will be very glad you did as it is a glimpse of an Ireland that almost vanished. 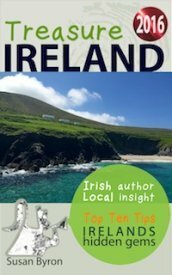 The Lakes of Killarney is just one of Top 10 Irish Boat Trips listed in my new eBook 'Where to Eat, Sleep & Play 2013' - Price $4.99 which you can buy at the link below.